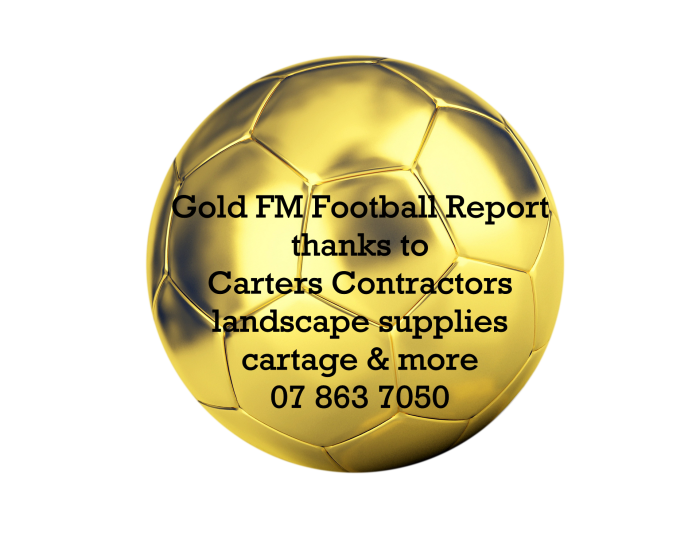 We welcome a new sponsor to the Gold FM Football Report this year, Carters Contractors, from landscape supplies to cartage they’re your one stop shop. It’s great to have you on board. Brent Willoughby caught up with Brian Gentil as the 2019 season kicks off. Waihi Association Football Club had a successful year last year, winning the Plate Cup and coming second in the regular competition. This year they start their season against Unicol at home at Morgan Park on Saturday, April 6, kicking off at 2.45 pm. Brent also talked about the Waihi Women’s team, who could do with a few more players for when team members have other commitments, and their first game of the season. They’re at home at Morgan Park on Sunday against Claudelands Rovers Women’s B, with a kick off at 11 am. They also talked about the English Premier League as the English season draws to a close and who is currently top of the table, and who’s not far behind. Thanks Carter Contractors - your one stop shop for landscape supplies and cartage, for supporting football.